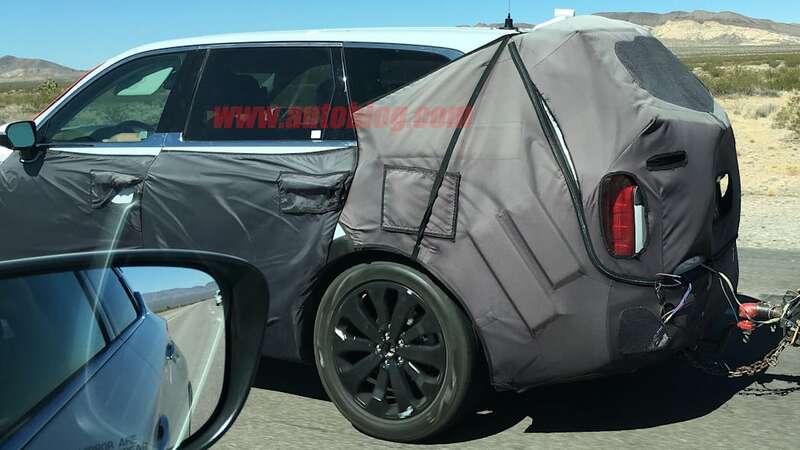 The Kia Telluride seems to be making steady progress on its way to production, as evidenced by these new spy photos. 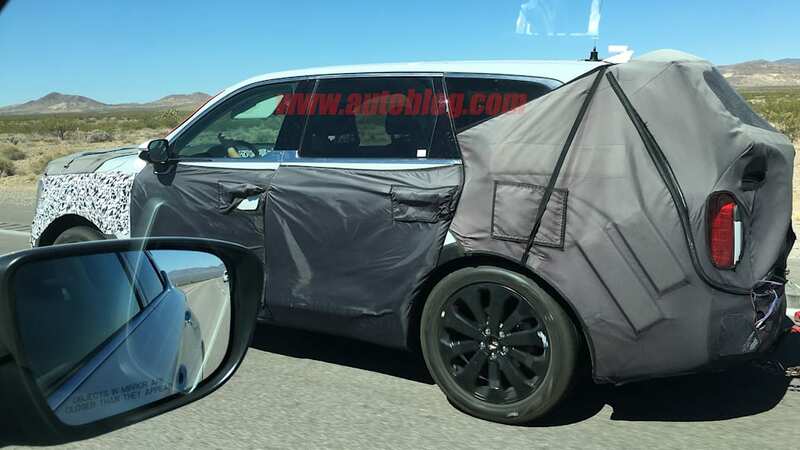 The large crossover SUV was spied testing with much less camouflage than the last time we saw it. 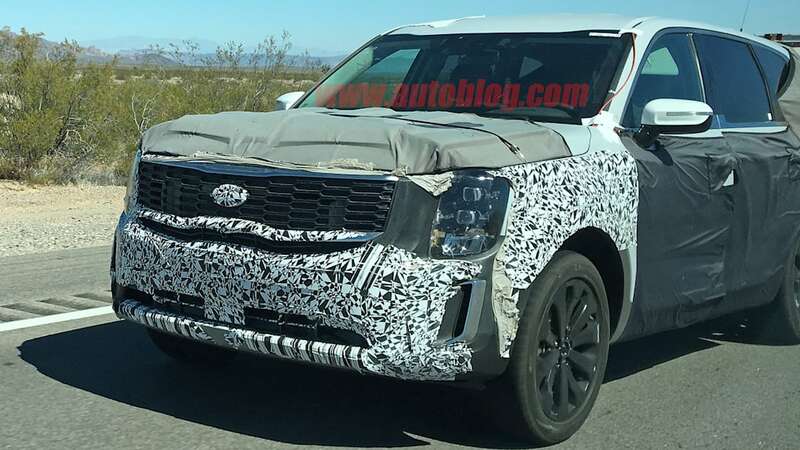 So little that we get a pretty clear picture of the front fascia and what appears to be a production grille and front bumper, unadorned with fake bodywork. 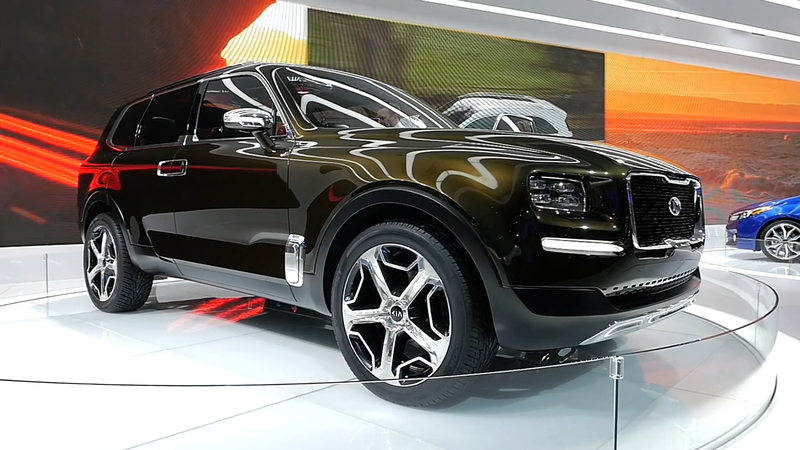 Notably, the Telluride still retains much of the square, blocky design shown on the 2016 concept, such as in its tall, sheer nose. But it has softened in a number of ways. 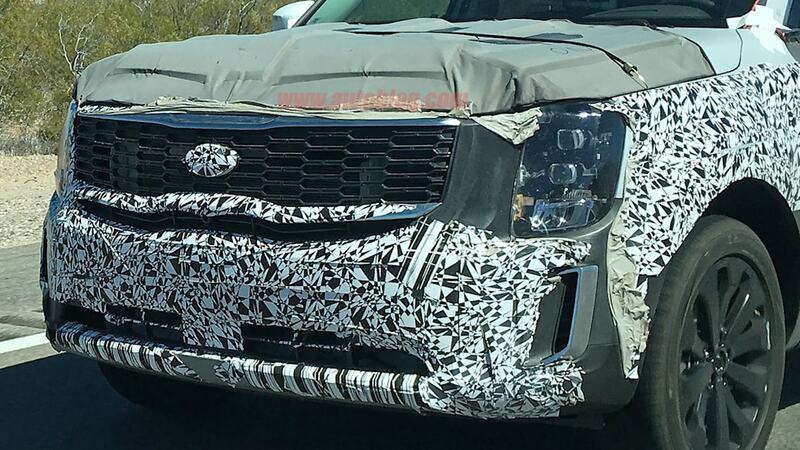 The grille is much broader and curves back toward the headlights. It also has a bit of a sweep upward, which is exaggerated by the additional opening below the grille. The headlights have also increased in size compared with the concept, particularly vertically. They also wrap around the fender instead of being inset. Moving around to the sides and the rear, there's more camouflage, but we can spot some details taken directly from the concept. One of them is the chrome trim surrounding the windows that has a little extension up the B-Pillar. The rear taillights are also heavily inspired by the concept's inverted "L"-shaped lights. Unlike the concept, the production lights appear to span the full width of the rear hatch. As for when we'll see the production Telluride, we would estimate within a year. 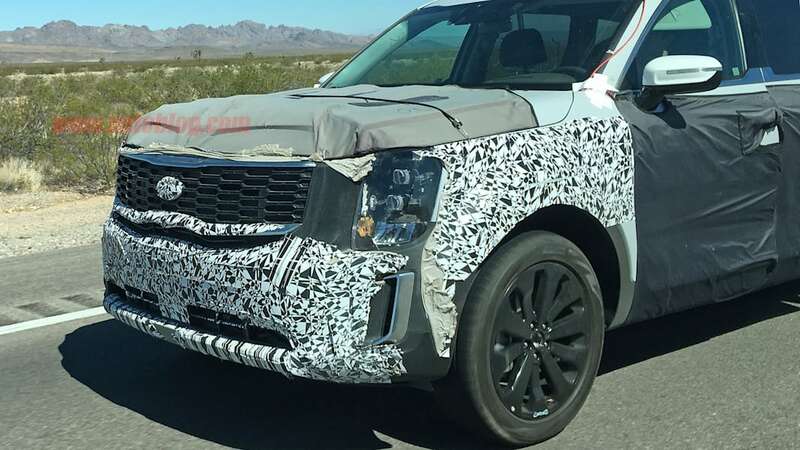 A report from January implied that we would be hearing an announcement in the near-future regarding the new family crossover, and this latest prototype is looking pretty close to production specification. Hyundai seems to be on its way to releasing its own version of the three-row SUV, possibly styled after the Grandmaster concept, for 2019 or 2020.